I was so cold last night even though I had put on thermals, a hat, all my clothes and I was in my sleeping bag! The weather is coming from the south (Antarctic) and bringing weather not experienced before in these parts. I see so few motorbikes. I see so few cars and people but only a few motorbikes each day (none today) and when I pull into a ‘roadhouse’ for fuel or food and everyone else has there massive, I mean gigantic 4WD’s and equally big caravans or trailers with everything imaginable and more for ‘outback camping’ they gravitate towards me with curiosity and questions. I love the ‘openness’ of Australians and like people all over the world they come over with a big smile and want to engage. This morning a retired couple in the huge trailer next to me insisted on making me coffee and toast, again typical, thank you. The ride was boring and cold today. 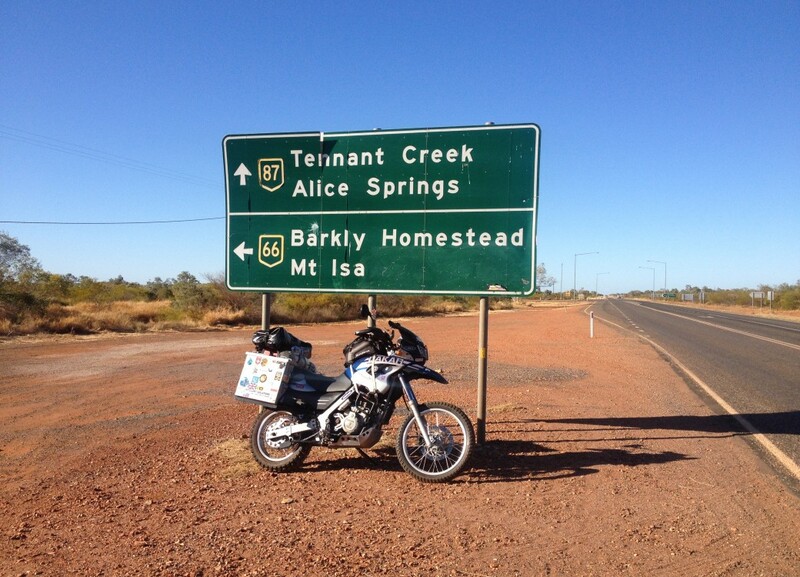 As soon as I left Threeways I turned left and headed east to Queensland on The Barkly Highway. The road was straight and boring, a strong cold headwind made it tough going in places and reduced my fuel consumption by 35%! 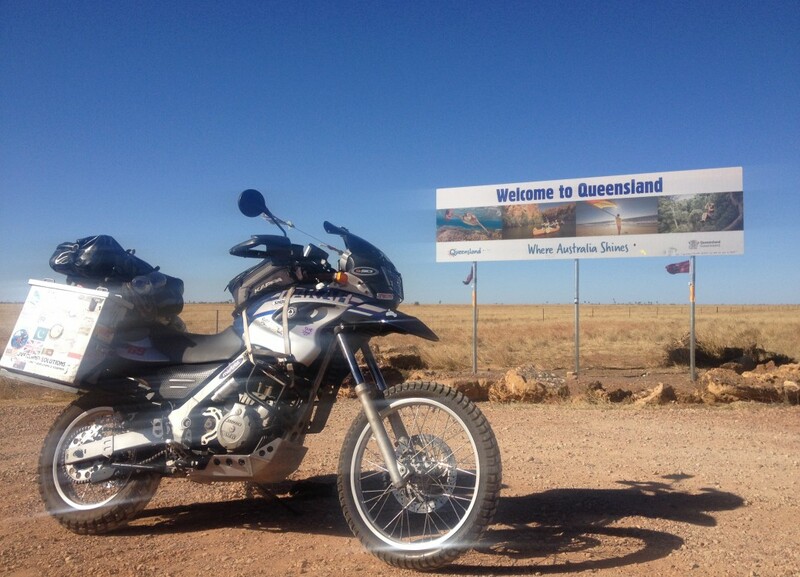 After a few hours I came across the first sign of life, ‘Barkly Homestead’ where I fuelled up and got a hot meal. 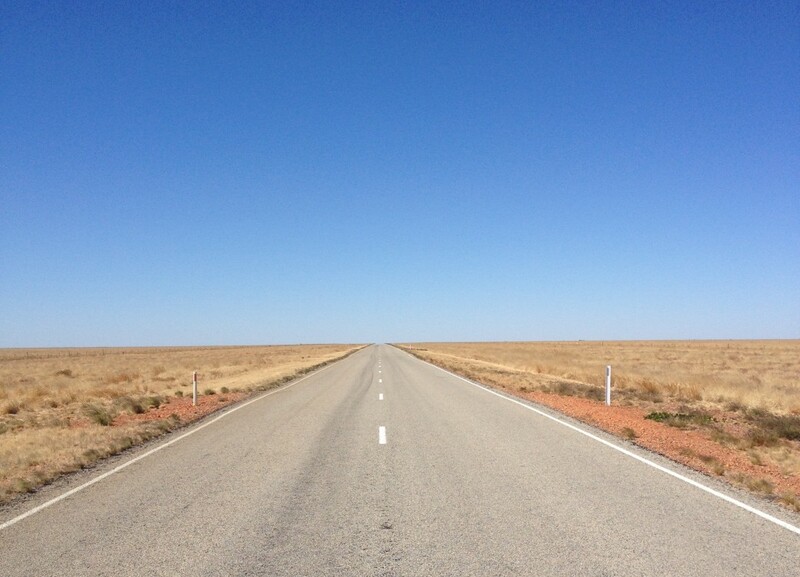 A couple asked me where I was heading for and I told them Camooweal, they said there was nothing there worth stopping for so I felt a bit down as there wasn’t anywhere else within my riding range to go to. 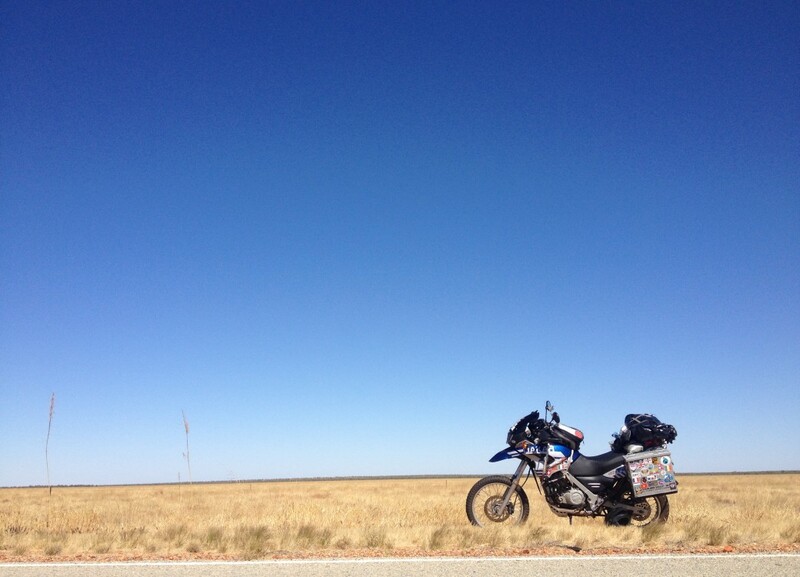 I was so bored as I continued riding through the head on cold wind along the straightest road in the world (it must be?) so to amuse myself I started slaloming through the broken white line down the middle of the road (does anyone else do this? ), I then started ‘day dreaming’ as I imagine all bike riders do. Riding a bike is lonesome and gives hours and hours of time to reflect upon anything and everything, I really enjoy this time. 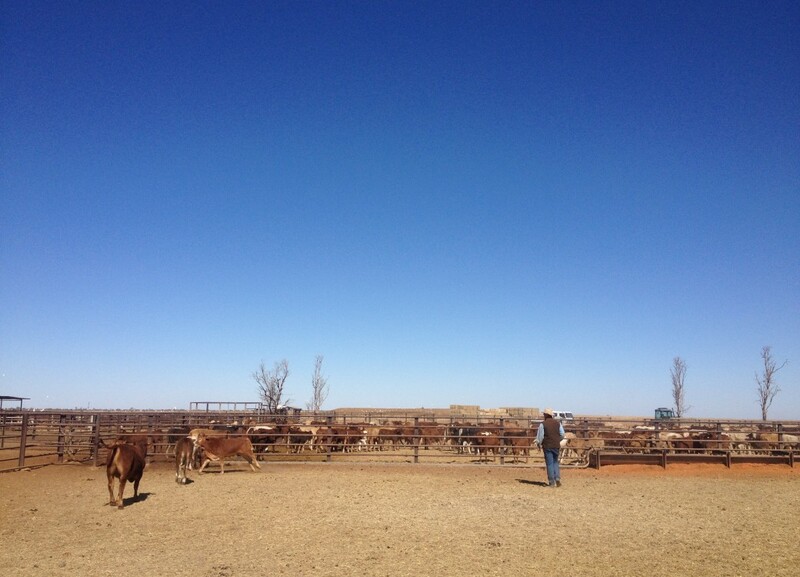 Mid afternoon I saw a cattle station that wasn’t too far off the road so I ventured over and spent some time talking to the Stockmen and watched them working the cattle. Hard men doing a hard job. Watching these tough guys round up the cattle with dust everywhere and the sun beaming down was how I imagined life to be out here in the middle of nowhere. 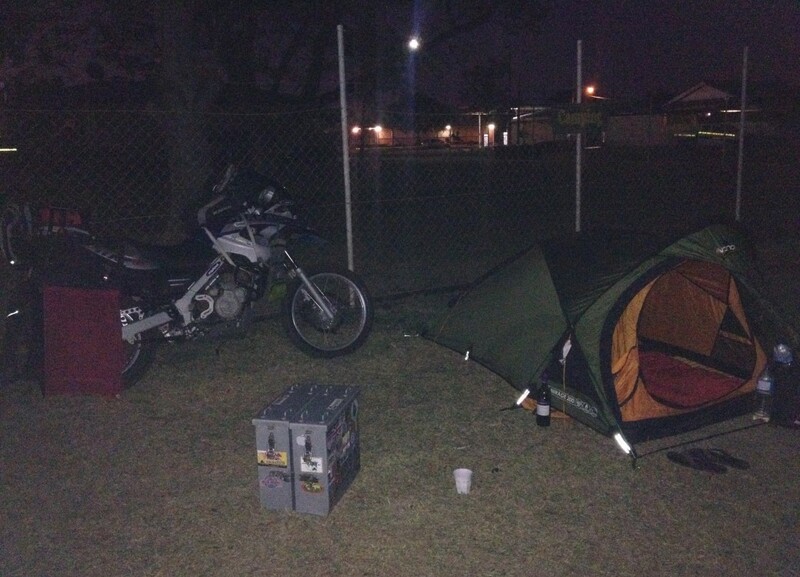 I arrived in Camooweal at about 3.30pm and found a great campsite at the back of the pub. 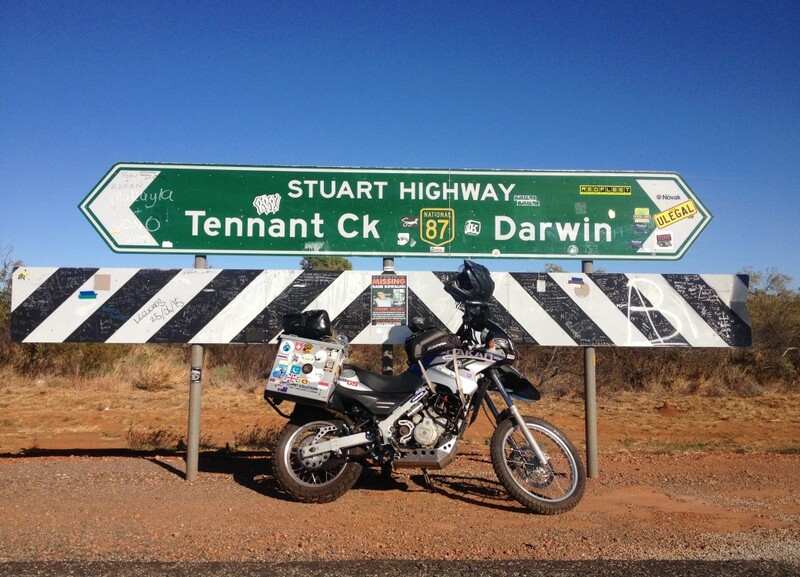 Here in Australia the pub is called a ‘hotel’ and this one like many is multifunctional, it’s a pub, post office and camp site too, when you’ve been riding through northern Australia in uncustomary cold weather it’s like finding heaven. I disagree with the couple who earlier in the day said there was nothing worth stopping at Camooweal for, it’s a typical extremely small outback town (it isn’t big enough to be called a village in England) with a mixture of locals and people passing through. The Barkly Highway is just about the only road here and as the odd road train (which can have four trailers and be over 50 metres long) passes through I imagine the same scene going back to the early days when the drovers (Stockmen) came through with their cattle on a dusty road. 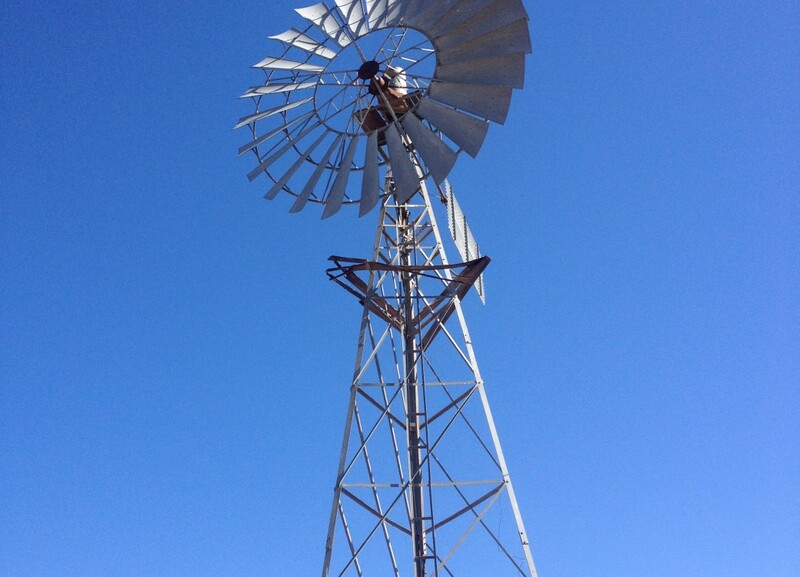 Coming to places like Camooweal is what it’s all about. After I set my tent up and sorted myself out I did the obvious thing and went for a beer. I met Geoff, Bob & Nola from Byron Bay had a few beers and they invited me to stay with them when I pass in a few weeks. Typical Australia hospitality. Back at the tent I cooked myself a meal and relaxed. 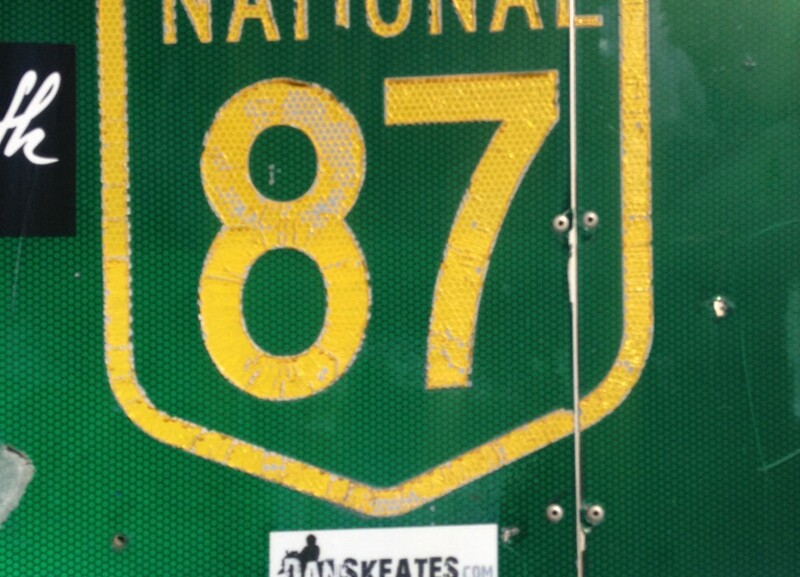 What a great day, I’m loving riding here and meeting the people. 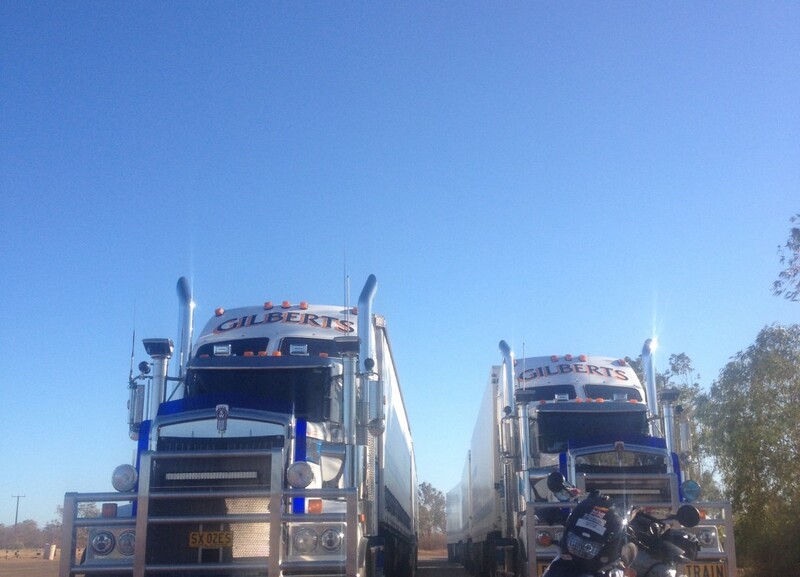 Take care slaloming Dan, that’s what the road train drivers do when they are bored. 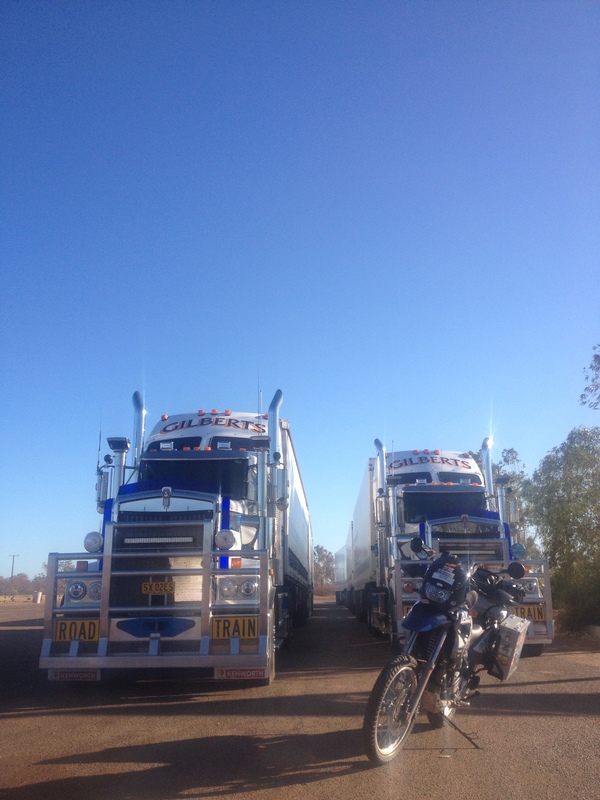 They each drive 100 miles without seeing another vehicle then hit each other head on…!